Visiting Scuba & Snorkeling and Nature & Wildlife Tours will get you outdoors. Historic Village Herberton and McLeod Street Pioneer Cemetery will appeal to history buffs. Next up on the itinerary: tour the pleasant surroundings at Esplanade Boardwalk, brush up on your military savvy at The Australian Armour & Artillery Museum, view the masterpieces at Bones and Jones, and pause for some serene contemplation at St Monica's Cathedral. To see traveler tips, ratings, maps, and more tourist information, go to the Cairns route planning tool . Manchester, UK to Cairns is an approximately 23-hour flight. The time zone difference when traveling from Manchester to Cairns is 10 hours. Plan for a bit warmer temperatures traveling from Manchester in September, with highs in Cairns at 33°C and lows at 22°C. Finish your sightseeing early on the 6th (Fri) to allow enough time to take a bus to Cape Tribulation. 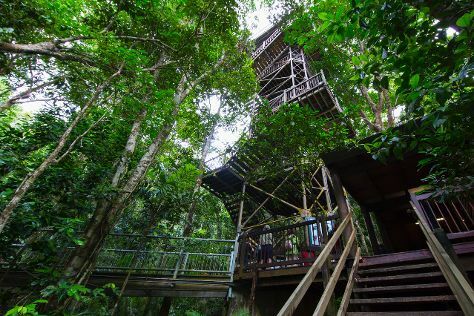 Get in touch with nature at Daintree Discovery Centre and Dubuji Boardwalk. Get a sense of the local culture at Daintree Entomological museum and Floravilla Ice Cream Factory. Spend the 8th (Sun) exploring nature at Daintree National Park. And it doesn't end there: take a peaceful walk through Daintree Rainforest - Cooper Creek Wilderness, kick back and relax at Cape Tribulation Beach, tour the pleasant surroundings at Myall Beach, and take in the dramatic scenery at Alexandra Bay Waterfall. For photos, more things to do, where to stay, and more tourist information, refer to the Cape Tribulation online day trip planner . Traveling by bus from Cairns to Cape Tribulation takes 3.5 hours. Alternatively, you can drive. September in Cape Tribulation sees daily highs of 33°C and lows of 22°C at night. Finish up your sightseeing early on the 10th (Tue) so you can travel to Port Douglas. Do some cultural sightseeing at Des Spencer Galleries and Shannonvale Tropical Fruit Winery. Escape the urban bustle at Safaris and Wildlife Habitat Port Douglas. Spend the 11th (Wed) among aquatic life with a scuba or snorkeling tour. Spend the 15th (Sun) exploring nature at Mowbray National Park. Next up on the itinerary: admire all the interesting features of Hartley's Crocodile Adventures, stop by With Sugar, see the vivid underwater world at Agincourt Reef, and enjoy the sand and surf at Four Mile Beach. To find more things to do and more tourist information, use the Port Douglas online journey maker . Traveling by combination of car and ferry from Cape Tribulation to Port Douglas takes 2 hours. Alternatively, you can take a bus. In September, daytime highs in Port Douglas are 33°C, while nighttime lows are 22°C. Cap off your sightseeing on the 16th (Mon) early enough to travel to Townsville. Step out of the city life by going to Scuba & Snorkeling and Wet Tropics World Heritage Area. Get a sense of the local culture at Museum of Tropical Queensland and National Trust Heritage Centre. The adventure continues: take a peaceful walk through Gondwana Rainforest, kick back and relax at The Strand, and go for a walk through Castle Hill. To find more things to do, where to stay, other places to visit, and other tourist information, read our Townsville tour itinerary tool . You can do a combination of shuttle and flight from Port Douglas to Townsville in 4.5 hours. Other options are to drive; or do a combination of shuttle and bus. Expect a daytime high around 32°C in September, and nighttime lows around 21°C. Finish your sightseeing early on the 19th (Thu) to allow enough time to take a bus to Airlie Beach. Escape the urban bustle at Scuba & Snorkeling and Airlie Beach Lagoon. On the 21st (Sat), spend a thrilling day on the water with a speed boat tour. There's more to do: zoom along the surf with a waterskiing or jet-skiing adventure and go for a walk through Bicentennial Walkway. To see photos, maps, where to stay, and tourist information, read Airlie Beach itinerary maker tool . Traveling by bus from Townsville to Airlie Beach takes 4 hours. Alternatively, you can drive; or do a combination of train and bus. When traveling from Townsville in September, plan for little chillier days and about the same nights in Airlie Beach: temperatures range from 29°C by day to 23°C at night. Wrap up your sightseeing on the 22nd (Sun) early enough to travel to Hervey Bay. Start off your visit on the 23rd (Mon): grab your bike and head to Esplanade and then look for all kinds of wild species at Wildlife Areas. For reviews, photos, and tourist information, use the Hervey Bay online tour itinerary planner . Traveling by combination of bus and flight from Airlie Beach to Hervey Bay takes 6.5 hours. Alternatively, you can drive; or do a combination of bus and train. Expect slightly colder evenings in Hervey Bay when traveling from Airlie Beach in September, with lows around 15°C. 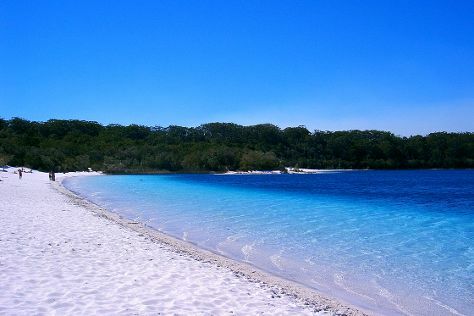 Finish up your sightseeing early on the 23rd (Mon) so you can travel to Fraser Island. Get in touch with nature at Sandy Cape Lighthouse and Seventy-Five Mile Beach. To see traveler tips, other places to visit, where to stay, and other tourist information, refer to the Fraser Island trip itinerary planner. Do a combination of car and ferry from Hervey Bay to Fraser Island in 4.5 hours. Cap off your sightseeing on the 28th (Sat) early enough to travel to Noosa. 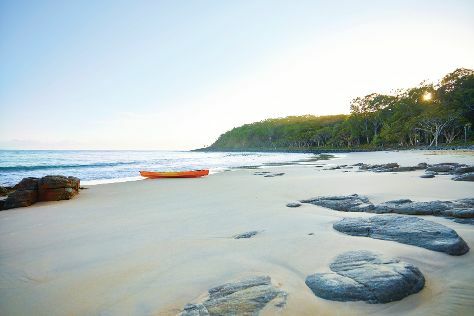 Take a break from the city and head to Noosa National Park and Scuba & Snorkeling. Your inner history buff will appreciate Chenrezig Institute and Caloundra Lighthouses. Venture out of the city with trips to Point Cartwright (in Mooloolaba), Kondalilla National Park (in Montville) and Glass House Mountains National Park (in Glass House Mountains). Next up on the itinerary: step into the grandiose world of Sunshine Castle, take an in-depth tour of Discover Eumundi Heritage & Visitor Centre, and take in the exciting artwork at Atrium Gallery at Buderim Craft Cottage. To find ratings, where to stay, maps, and more tourist information, refer to the Noosa online travel planner . Do a combination of car and ferry from Fraser Island to Noosa in 7 hours. Alternatively, you can do a combination of car, ferry, and train; or do a combination of car, ferry, and bus. Wrap up your sightseeing on the 3rd (Thu) to allow time to drive to Brisbane. Deepen your sense of the past at sights like Cathedral Square and Nepalese Pagoda. Satisfy your inner culture vulture at Queensland Art Gallery and Gallery of Modern Art. Explore Brisbane's surroundings by going to Surfers Paradise Beach (in Surfers Paradise), Pelican Feeding (in Labrador) and Sea World Theme Park (in Main Beach). And it doesn't end there: look for all kinds of wild species at Lone Pine Koala Sanctuary, find something for the whole family at Warner Bros. Movie World, browse the collection at State Library Of Queensland, and examine the collection at Queensland Museum & Sciencentre. 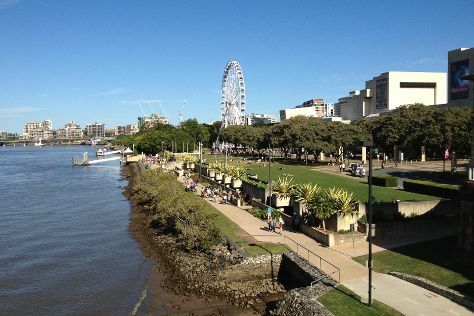 To find photos, more things to do, other places to visit, and tourist information, read our Brisbane travel route planner. Drive from Noosa to Brisbane in 2 hours. Alternatively, you can take a train; or take a bus. Expect a daytime high around 29°C in October, and nighttime lows around 19°C. Finish your sightseeing early on the 8th (Tue) to allow enough time to travel to Melbourne. Get some historical perspective at Shrine of Remembrance and St Paul's Cathedral. 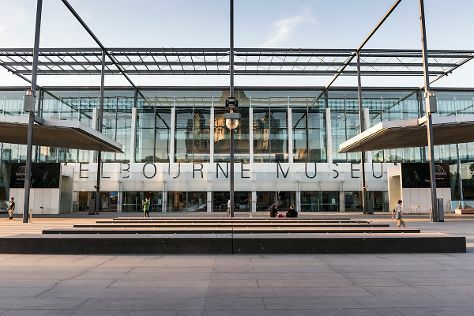 Get a sense of the local culture at Melbourne Museum and The Ian Potter Centre: NGV Australia. Explore Melbourne's surroundings by going to The Great Ocean Road (in Torquay) and Sovereign Hill (in Ballarat). And it doesn't end there: explore the world behind art at National Gallery of Victoria, get engrossed in the history at Immigration Museum, see the interesting displays at National Sports Museum, and take in nature's colorful creations at Royal Botanic Gardens. To find ratings, reviews, where to stay, and more tourist information, refer to the Melbourne online tour itinerary builder . Traveling by flight from Brisbane to Melbourne takes 4.5 hours. Alternatively, you can do a combination of bus and flight; or drive. Expect little chillier temperatures when traveling from Brisbane in October; daily highs in Melbourne reach 24°C and lows reach 9°C. Finish your sightseeing early on the 15th (Tue) so you can travel to Adelaide. Adelaide Oval and South Australian Museum are good opportunities to explore the local culture. Popular historic sites such as The Cedars and Centennial Park Cemetery are in your itinerary. 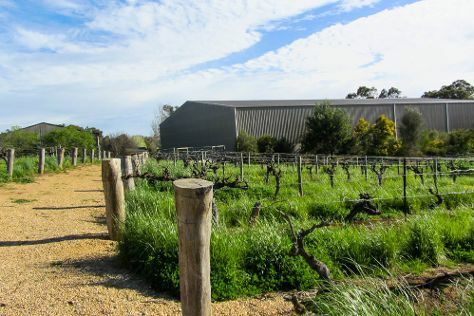 Venture out of the city with trips to Murray Street Vineyards (in Greenock), Langmeil Winery (in Tanunda) and Seppeltsfield (in Seppeltsfield). There's much more to do: explore the world behind art at Art Gallery of South Australia, get lost in a book at State Library of South Australia, do a tasting at Fox Creek Wines, and steep yourself in history at Carrick Hill. For ratings, reviews, where to stay, and other tourist information, refer to the Adelaide day trip app . You can fly from Melbourne to Adelaide in 3.5 hours. Alternatively, you can drive; or take a train. In October, daily temperatures in Adelaide can reach 26°C, while at night they dip to 13°C. Wrap up your sightseeing on the 19th (Sat) early enough to travel back home.